Christmas Island Pipistrelle (Pipistrellus murrayi). Image credit: Lindy Lumsden / IUCN (all rights reserved). 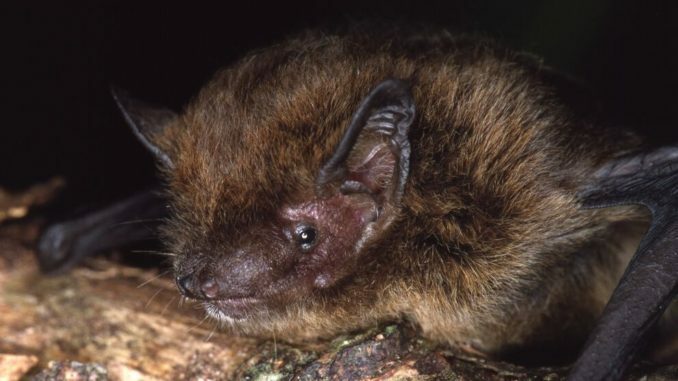 The new update of The IUCN Red List of Threatened Species™ (version 2017-2) declares the Christmas Island Pipistrelle (Pipistrellus murrayi) – a bat species endemic to Australia’s Christmas Island – as Extinct. The population of this species rapidly declined from being common and widespread in the 1980s to between four and 20 animals in January 2009. Only one individual remained in August 2009, and it disappeared later that month. There has been no trace of this bat since then, despite extensive searches of the island. The reasons for the decline are not clear, but may have been a combination of increased predation by introduced species, impacts of invasive Yellow Crazy Ant (Anoplolepis gracilipes) on its habitat and on its invertebrate prey species, or possibly an unknown disease. According to this update, North America’s most widespread and valuable ash tree species are now on the brink of extinction due to an invasive beetle decimating their populations, while the loss of wilderness areas and poaching are contributing to the declining numbers of five African antelope species. The IUCN Red List’s update also reveals a dramatic decline of grasshoppers and millipedes endemic to Madagascar. The IUCN Red List now includes 87,967 species of which 25,062 are threatened with extinction.